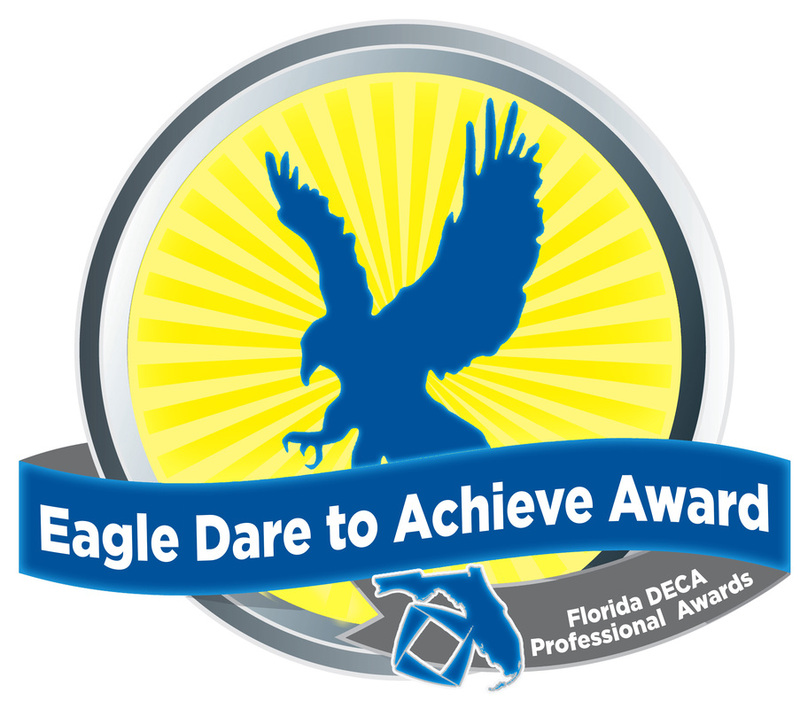 Eagles Dare to Achieve Award - Welcome to Florida DECA! This award is presented by the Florida DECA Board of Advisors to a board member who has, over the years, accepted challenges and dared to inspire the very best in the people they have served. Nominees must be recommended by a committee of one to three individuals from the Professional Division with the approval from the Florida DECA Board of Advisors. No more than two such awards may be presented in one year except under unusual circumstances. No recipient shall be eligible to receive the Eagles Dare to Achieve Award more than once.